100 hours a video are uploaded every minute on YouTube! How in the world does YouTube know which videos to keep? I believe one signal is the audience retention. See why. One area that I strongly believe is a ranking factor in YouTube is audience retention. I think this makes sense (there are more signals) but this one actually makes the most sense to me. How many times have you clicked on a video on YouTube only for it to be that guy Rick, who is Rick Rolling all over the place. You immediately click off (unless you start to sing along, then good for you) and go to a different result. 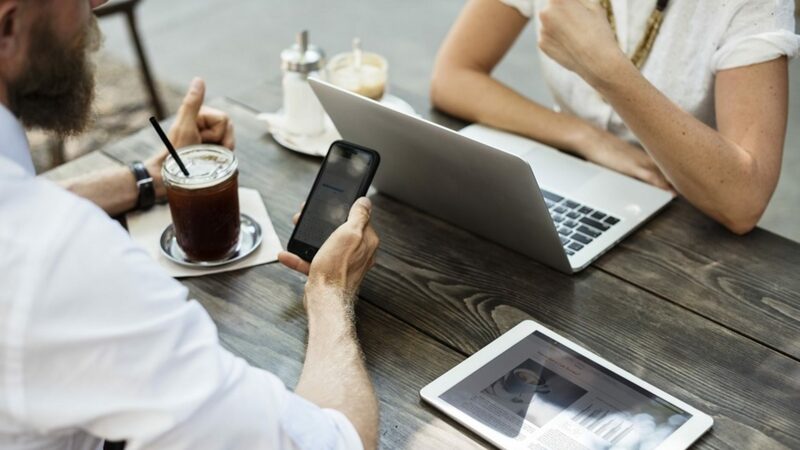 Then you will notice over time that video just disappears off the YouTube search results. 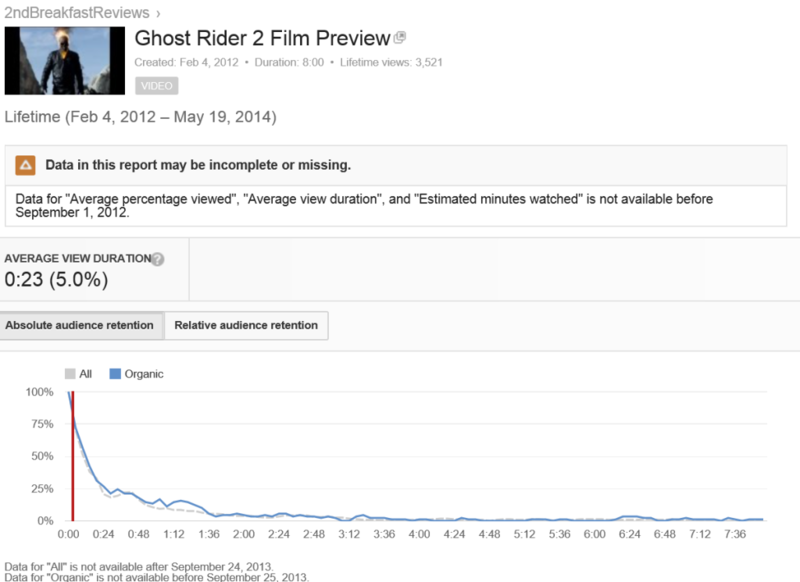 It is because the audience retention is so bad that YouTube will drop it from the top results. Today I am going to show you real metrics from my old YouTube channel called second breakfast reviews. We are going to look first at a video that has awful audience retention. This video is no longer getting any traffic. 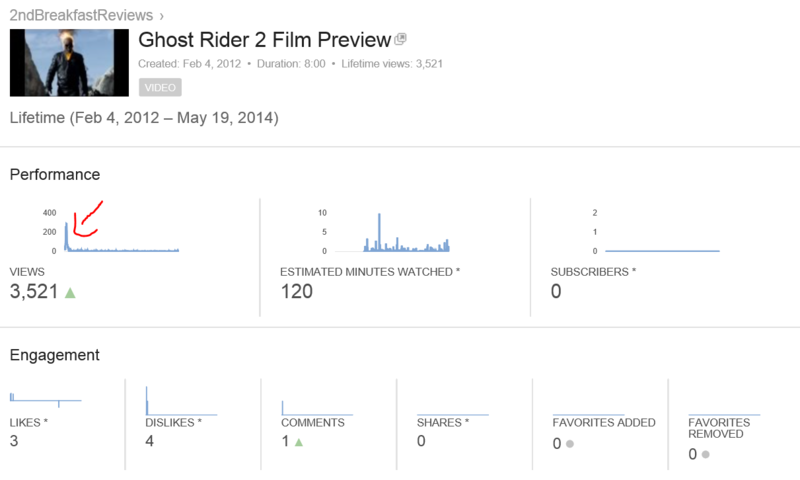 So let’s start with the visits for Ghost Rider 2. We literally were taking off with our video and we assumed we hit the jackpot. 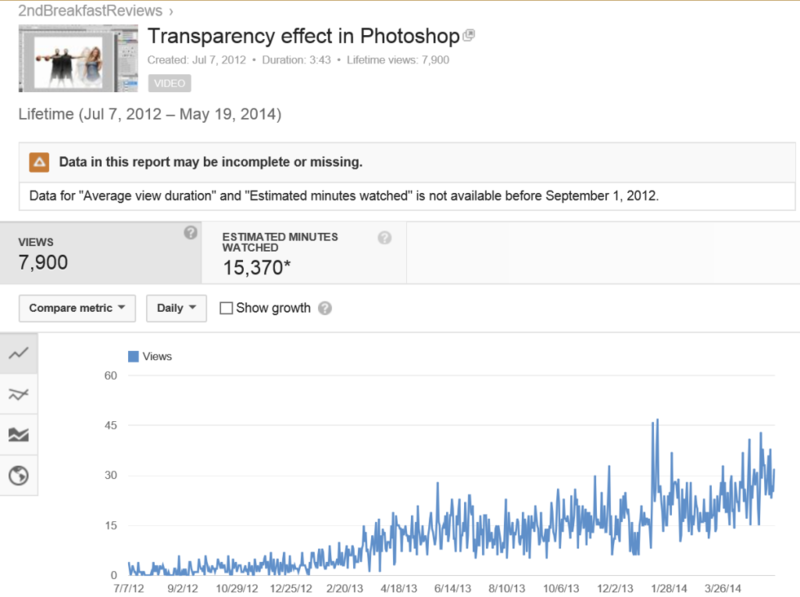 Basically, our entire lifetime traffic for that video came in a few days and then dropped off! Why you might ask? Well, let’s take a look at that audience retention! So right away when people clicked on this video they left! Barely made it through a few second out of an 8 minute video. Now I think this video was either linked to or got put in the related searches (by accident) which was why there was a huge spike. The point is only after a few days our video was just dropped completely. Everything was wrong with this video and I am not surprised it was dropped. This was the worst video we actually did and I did not edit anything. Of course that is the video that gets picked up right?!?! Here are the views above. Notice the continued climb in visits. This shows me that this video as continued to be kept either in the search results on YouTube or stayed as a connected link in a YouTube related search. So Awesome! 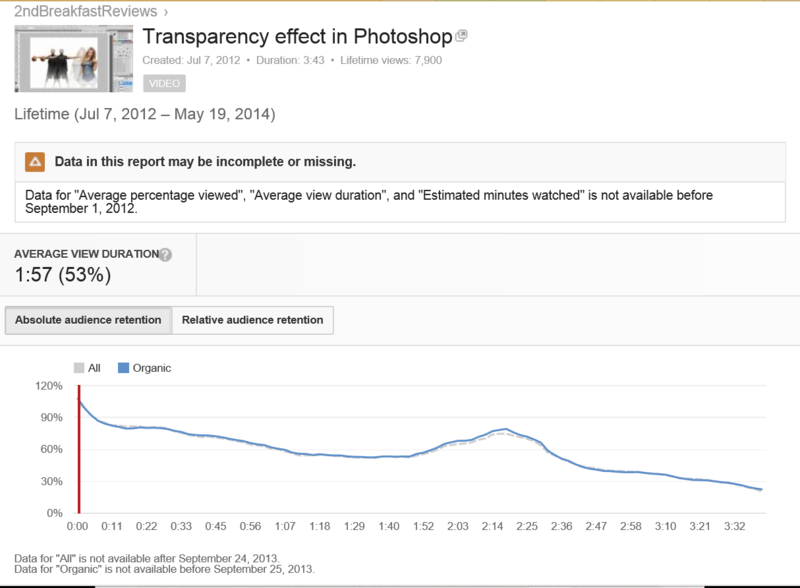 So right above is the audience retention for that photo shop video. Much better than the Ghost Rider video. I think part of the video’s success was that little bump between 1:52 – 2:25 as users replayed that section or paused the video or even just skipped to get to that part. I believe that is a ranking signal to YouTube as users who are engaged are more likely to replay certain sections to keep on learning. So there you go. There is more than one ranking signal for YouTube (like search engines) but I think of YouTube this plays a large factor. 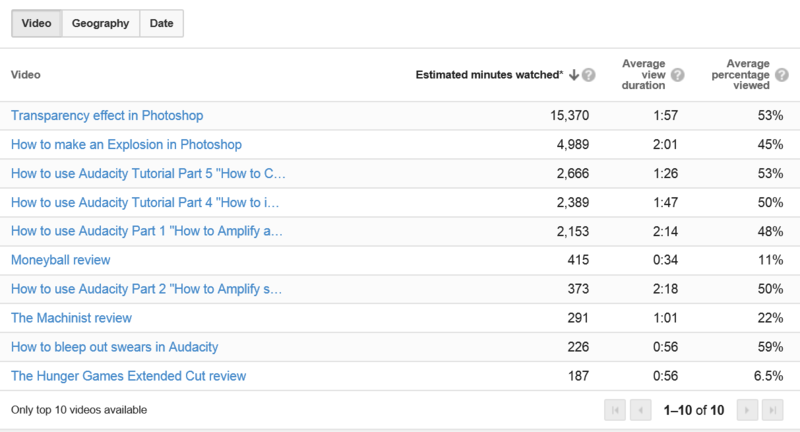 In future blogs I will show how to mine the results for keywords and some other things to optimize your videos.